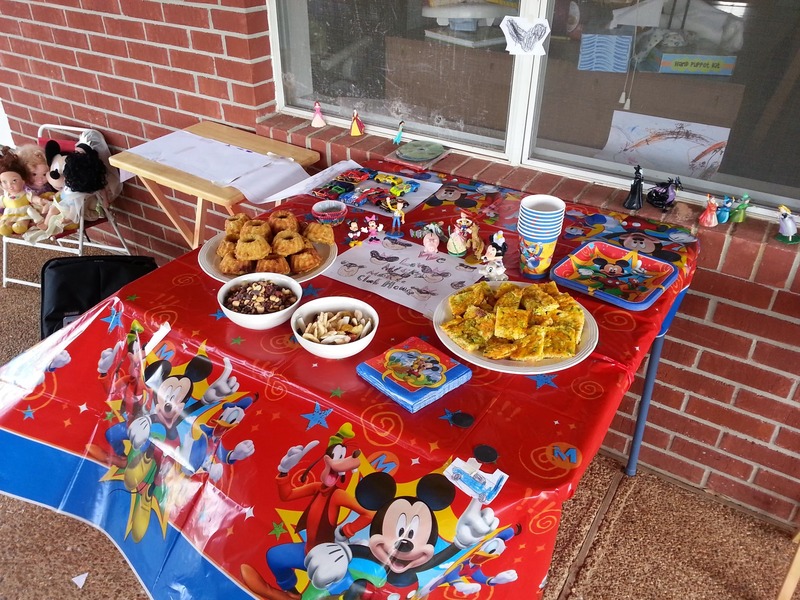 We were so excited to be chosen to host a Disney Side at Home Celebration. 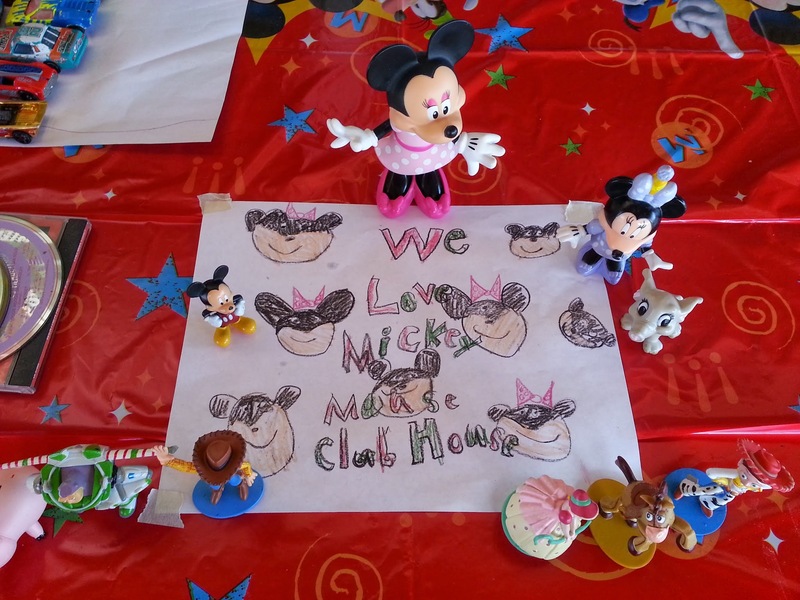 We love Mickey Mouse in this house and it really has been the first show that all my kids have latched onto. Hannah still LOVES Mickey Mouse and asks to watch it daily. 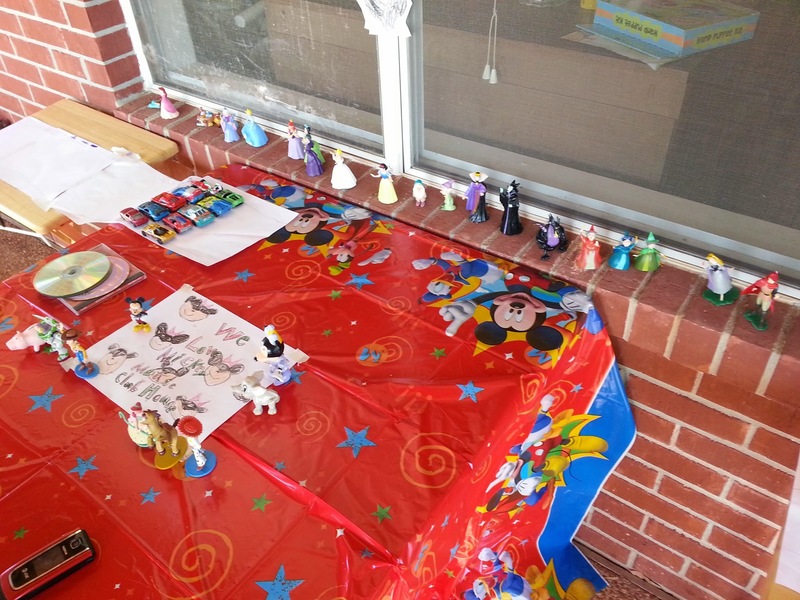 We were thrilled to be able to receive all these great Disney goodies and had a fun time at our party....well, it actually turned into a playdate. 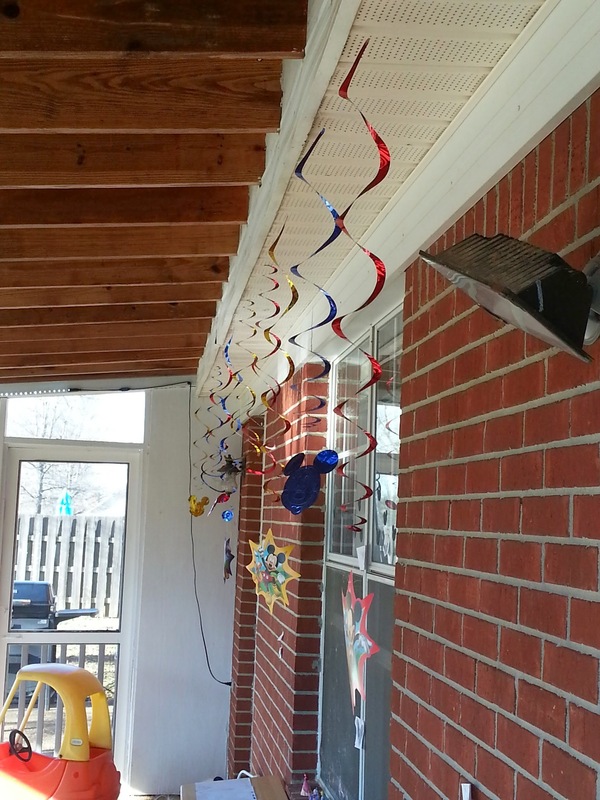 We had to reschedule the party two times because of illness and bad weather so when it finally came time for the party many of the people who were invited couldn't come. 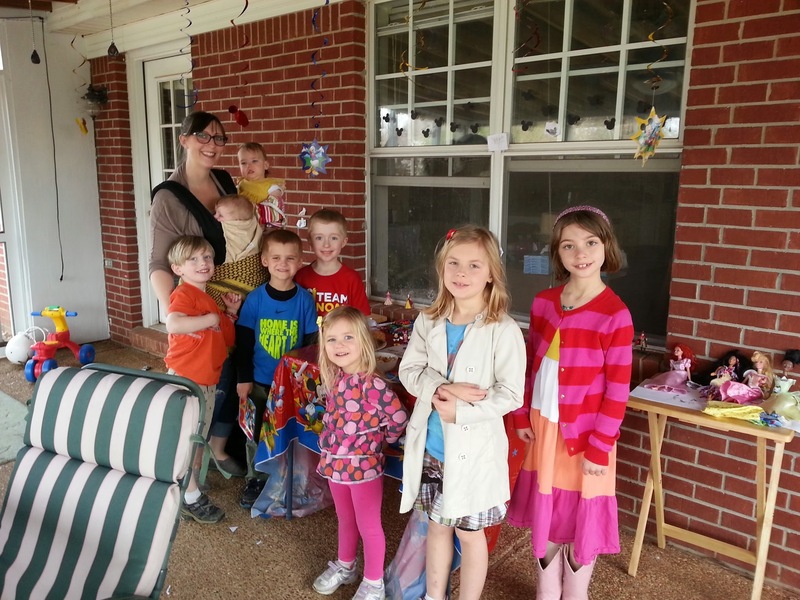 The morning of the party some of our friends were sick so we ended up just being two families so it was more like a play date. But it was fun and we had a great time. 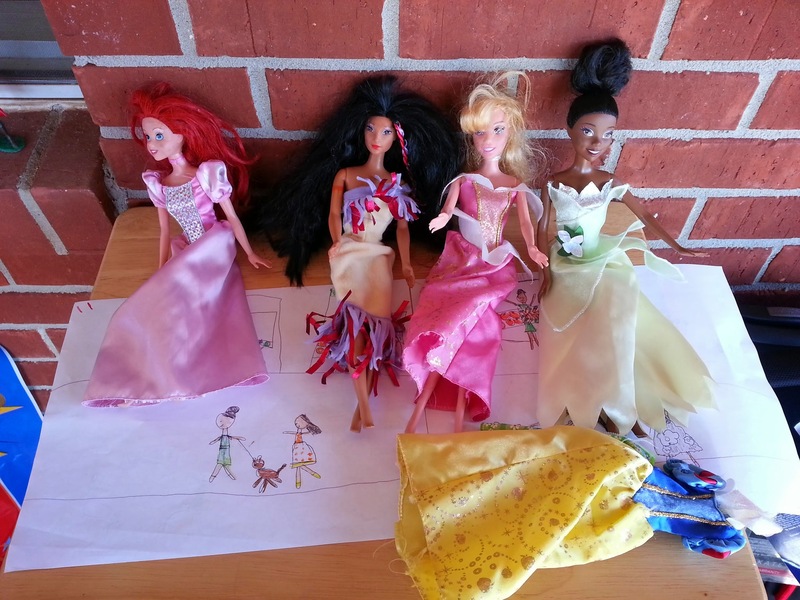 The kids did great with their Disney Trivia and we had fun playing and eating!! It was a fun Disney party and I hope to be able to host one again sometime....I've got lots of goodies to use thanks to the awesome people at Mom Select and BSM Media. Thanks also to HP for the printable cards and also to American Tourister for the great suitcase!!! 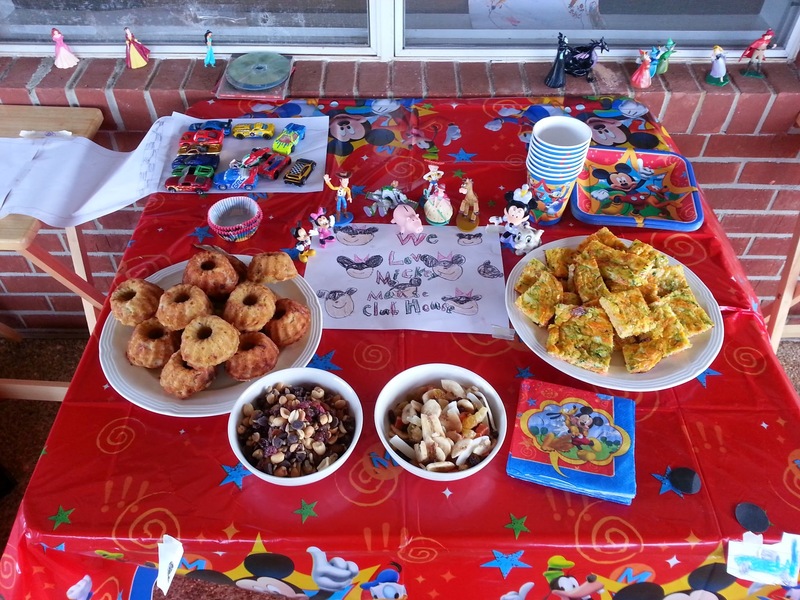 Check out the Disney Side Celebrations website for LOTS of ideas if you're going to host your own Disney party!! Here are some photos from our fun day together!! The kids had a great time scouring their bedrooms for anything Disney related...and they found a lot more than I thought they would!! 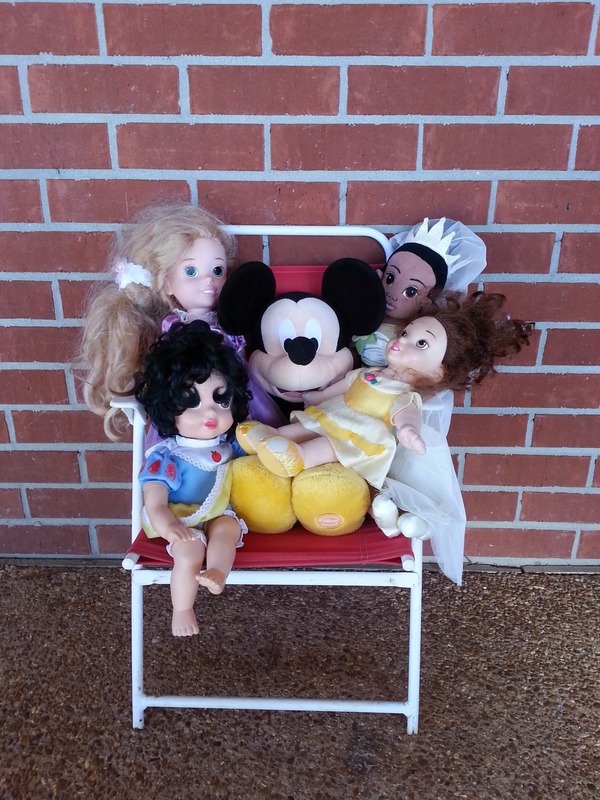 Mickey and his friends that are girls! Ha! 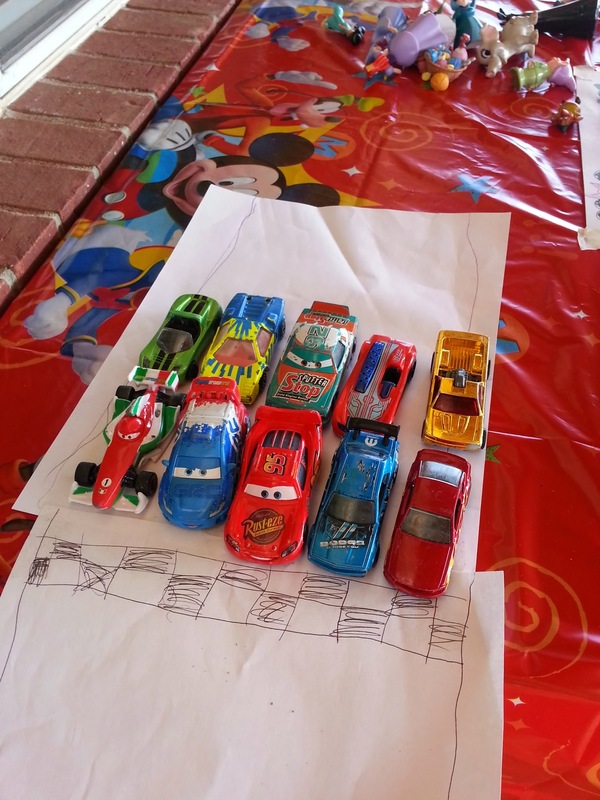 Micah had fun setting up his cars and the track he made for them! 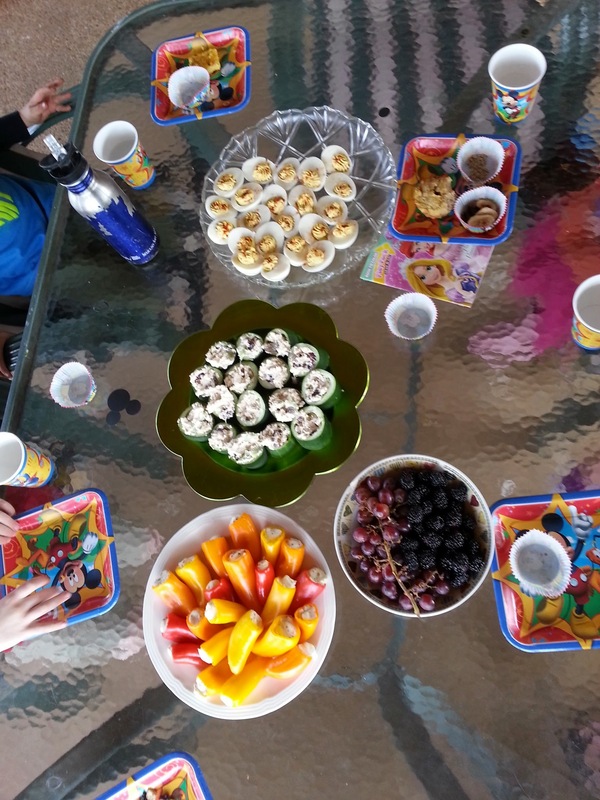 We enjoyed some wheat-free donuts, crustless quiche, tropical trail mix and regular trail mix. We brought out some fun finger foods for lunch...stuffed peppers, chicken salad stuffed cucumbers, deviled eggs and some fruit! 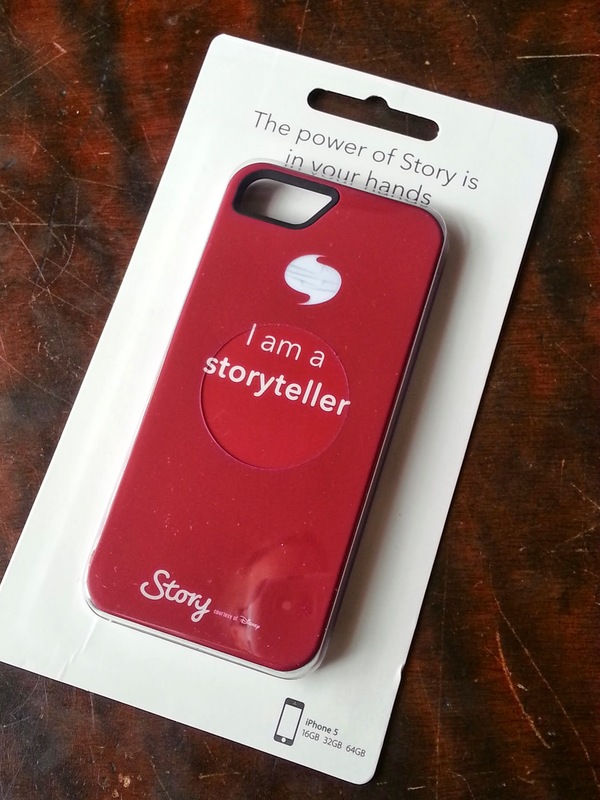 As part of hosting this party I received this lovely iPhone 5 case...however, I'm an Android user...so I'd like to give this away to one of my readers. Just leave me a comment and you'll be entered to win. Leave your email address if it's not in your profile so I can contact you if you win. If you'd like bonus entries follow me on Google Friend Connect, Pinterest and/or Instagram. If you do any of the bonus entries please leave a separate comment for each!! Winner will be announced March 25th!! How sweet! Thanks for the chance! !